Man I'm behind. Just posted the tourist photos of Bandolier National Park and Jemez State Park from January of *LAST* year. I posted a performance of The Nutcracker where my cousin was playing the Russian lead. Finally, I also never posted that I ran a photogrammetry mission of Buck's Pocket State Park in Alabama. More photogrammetry updates. I have posted a model of my church, Good Shepherd UMC, in the photogrammetry section. I tried making simple raytraced videos of The church and Jemez. Those are also posted. Some fool sold me a 3D printer. There is now an *.stl in the Jemez photogrammetry section that I modified for 3D printing. Aw, I should have waited ten days so it could be a year to the day since I updated. I've started learning how to use photogrammetry to build 3D models. I've also decided to post some of the models and photo inputs online for anyone to play with. So far I have two sets from a trip to New Mexico. Jemez Historical Site and Bandolier National Park. Jemez was the first one I posted and has a walk through of the methods and tools I used. The actual webpage for Bandolier should be done shortly. Check it out! For the first time in most of a decade, the hardware section is up to date. Well, unless we want to count phone, game systems, camera, or project boards. Dollar General is burning down. April 22nd was the March for Science, to protest cuts in many science related programs. Out of the pictures I took to document the event, there are a small handfull of good ones. Have to update at least once this year... I placed two videos from my church's praise team on the movie page. They're at the bottom. I also added a link to a "Navy Recruiting Video" from maybe 2006. It's been sitting in the movie folder since I don't know when. I finally added the link. Very dated references, but hey, why not. Posted a couple of M-Class game videos from World of Tanks. And, I finally got a Top Gun on a victory. Updated the screenshots in the World of Tanks review. The old ones were taken in 2012-2013. Here's some taken in the last few weeks. Both sets were taken with maximum settings of the day, no anti-aliasing. Be careful making an old favorite that has been around since the '30s using the classic recipe. Odds are, someone has figured out a better way to make it since. Have you ever seen one of those old horror movies, where the slow moving ooze creeps out of the swamp and up to some unsuspecting fisherman, the man not noticing the ooze till it touches his hand? Fight as the man does, he cannot break free of the ooze, for the only thing he has to push against is the ooze itself. In the end, the audience watches as he is devoured, screaming his last breath. I am now convinced they used, as a prop for the ooze, classic recipe rice crispy treats. Finally decided to post a few of the random sketches I've made on the tablet. Oh look, I forgot to post that I had posted pictures from Disney and Universal back in December. Some of them were pretty good. More to the point, I just posted pictures from the Walters Museum, the B&O Museum, and the original Washington Monument in Baltimore. I have to say, there were a few rooms in the Walters Museum I really liked. Finally, a Saturday that was not planned out for me. I have updated the computer hardware section with info on the two new computers. Still need to update the fileserver's info. I only upgraded it in June of 2012. I seem to have some sort of absurd versioning problem. Years ago, I had removed all the invalid character problems from my webpage. Tonight I found they had returned. I don't know how an older version of most of my review webpages got copied over the newer versions. I will have to be more careful. New camera lens. New photo of The Moon up in the wallpaper section. Photos for the HAMACON bowling party are up. I finally updated the hardware secton to include the desktop I have been using since February. Also, there are several more recipes posted. You should try the pot-roast. Dang it Fantasy Life! Three screens of hair color and they *ALL* look good. For some time I have been trying to decide how to manage the collection of recipes that I like. At times I have considered entering them in a database. But in thinking about using a tablet in the kitchen, I realized that what I really wanted was webpages for all of them. I know there may be copyright issues with posting other people's recipes online. I will examine each recipe and consider this. With that said, here is a repost of a recipe from www.littlejapanmama.com, Sukiyaki. There was a discussion on why so little anime is currently authored in 1080p. I added a bit to the discussion and thought it would be worth posting here. Let me add a bit more info there. It has been some time since cels were painted and photographed with a camera. Probably some time in the early '90s. If it is, there is normally some form of "barrel distortion" as well as other flaws. Miyazaki's "Conan" is a good example. As Galap said, some studios draw the source sketches on paper, then scan them in for inking and coloring. More recently, many studios have moved to an "all digital" pipeline where the entire process is done on computer using drawing tablets. This saves on material costs as well as scan time. You would think that using an all digital pipeline, you would just set your source to 1080p, all your drawing would be in 1080p, scale down to 480 if needed, and you would be done. Well... 1080p images are bigger than 480 images, but it's only 6.75 times bigger. That's trivial, right? In RAM one 480 image is 1.2mb while a 1080 image is 8.3mb. The thing is, that's per layer in an art program. A skilled artist might use 100 layers. It gets out of control fast. Or how about real time encoding? No studio is going to use lossy compression on a work-in-progress, so: 8.3mb * 30fps is about 250mb per second where 480 is about 36mb/s. The average hard drive is about 35mb/s. You just need a (huge) SSD, right? One last bit of insight: When registering an Autodesk product, Autodesk will tell you the stats of other users of that product much like Steam will. When registering 3DS Max two years ago, I saw that most users had 4-core or 6-core machines, the latest or near latest video cards, 8gb-32gb RAM, etc. 3DS Max is used by many US and European game and movie studios including Universal, Disney; many of these people have money. I also use Softimage. The lion's share of Softimage users are in Japan. Something like 80% of the user base and the majority of 3D game/movie work in the islands. People like Capcom, Square-Enix, Konami, etc. What where their stats last year? Win7 barely edging out XP64, with XP32 at 20%. More that half the machines are single core (where do you *find* a single core machine?). About 45% had only 1GB RAM. Most where running whatever cheap 3D card would cut it. Wow. Now, I can't promise this applies to anime as well, but if I extrapolate and say that this is the equipment that most low-end studios have to work with, small wonder we don't see 1080p anime. It would take years to render. I have heard that many anime studios operate on a knife edge budget. Hope this sheds a bit more light. But anyway, first post is of a picture trip I took to the tank collection in holding at Fort Benning Georgia. Hopefully one day it will be available to the public. Until then, here you go. Look under "Photo Galleries". And I'll wrap up with some error corrections on The Eccentric Family and an observation that our image library makes better looking jpeg thumbnails than Photoshop CS2 at 6KB each instead of 28-60KB. That means I can post more thumbnails, that look better, in image galleries without overloading my bandwidth. Excellent. Two up dates in one month, whattya know? I put up a quick review of The Eccentric Family. Maybe someday I can flesh it out, but it demands that I say something. Basil quoted it as the best anime of the summer 2013 season. I haven't seen much from that season, but that one was amazing. This time I put up a review of Kerbal Space Program. I would class it as more of a simulation than a game, but the developers have done an excelent job of taking something that could be a dry subject and making something fun. I just seem to be going through a lot of Kerbalnauts recently. Posted a review for World of Tanks in the game section. Not overly positive, but that is more a comment about the attitudes of the developer than of the game itself. First game review in a long, long time. Terraria. Have a look in the game reviews to see what my friends and I built. Warning, that last one is a 12mb picture. I should probably post excerpts from it. Well, if I'm going to be stuck at home with the flu, maybe the page will be updated a bit. So far, added discs to the DVD/Blu-ray collection. This includes scanning the second and third seasons of ARIA as well as the rather embarasing We've Come to Play. New post. Not much new except that I pulled the openings and endings from two new DVDs, Wagnaria/Working and Mayo Chiki. I also corrected the review of Sugar. That had gotten by me for ten years. Gaussian Benchmark updated with an Ivy Bridge i5 over clocked to 4.1GHz. I will be moving to a larger data set as results in the 1/10th of a second are difficult to tell appart. Since I may not make it to the D&D game next weekend, I am posting my character sheet online. Instead of making a temporary location, I decided to make it a permanent part of the webpage. The current druid, as well as NPCs and the current and previous GURPS characters can be found under "RPG Material". And yes, I typed up that I had the server back online on the 21st, but it took till the 29th to post it. So, new toy it is. The new server is now running on a M910 Via Nano QuadCore board. Yes, that is the model name. You try typing that in Google. Who does their marketing anyway? I have partially updated the benchmark section and will finish when I have time. Finised, or rather, done with, inking the last two sketches. The new versions are now up. I really need to redo large parts of the first sketch. I just don't want to. Added a few weird sketches to the "Artwork" section. They would be most humorous to people that are familiar with the game "League of Legends". Updated the computer benchmark to include results from the Sandy Bridge i5 2537M and 64-bit results from the Opteron 246. I seem to be busy here. Today I updated the music archive with a bunch of Gameboy, Gameboy Advance, N64, DS, and PS2 music. I have added a link to the images I had posted during the "Internet Blackout" on January 18, 2012. I also found an old wallpaper I had made from the Panzer Blitz line of board games. That too is now posted. New reviews of Mayo Chiki and Petite Princess Yucie. No pictures of Yucie yet. Also, I took part in the "Internet Blackout" a few days back to protest SOPA-PIPA. I will post the images I used in a bit. Continuing the futile effort of organizing all my wallpapers. It is becoming clear that this will have to be multiple pages. Since two people in a row asked me why I had not scanned the rest of My-HiME, it is now all in the DVD section. Added the second season opening and ending for Asura Cryin'. Proof once again that good music can convince me to continue watching a show I would have given up on. It may not be as bad as I had thought the first try, but it is still below average. Two updates. First, I added a few more movies to the DVD/Blu-ray collection. Second, I have started a page to organize some of the wallpapers that I have. The problem is not just that I have a bunch of wallpapers, but they're in different areas of my file system (photos, games, anime). Also, since I use several different computers and have had others in the past, all with their own resolutions ranging from 800x600 to 3840x1024 (triple screen). This page is to sort them. Posted a benchmark some friends and I did of a large collection of computers using some software we wrote. Rather cool, but remember that no single benchmark tells a complete story. On the UPS front, during this last power outage, the UPS ran the Via Nano fileserver plus a compact florescent lamp for an hour-forty without failing. Almost forgot to update the main page. I've placed a review of Dog Days up for reading. Fun show. One friend described it as "the Final Fantasy that should have been." I'm having trouble writing a review of Isekai no Seikishi Monogatari so I put up the opening and ending in the video section. I'll regret that if many people download them. 1080p high quality, they're 80mb each. So, Tuesday morning I hear a loud *BANG* and I am suddenly very awake. It was about an hour later that I figured out that it was the powersupply to the DSL modem exploding about a foot from my head. It's plugged in behind the headboard of my bed. This afternoon I found another 12v wall-wart that was both the correct voltage and the correct plug. Problem solved. And, we're up. I think that's the longest my webpage has been offline since I started it. Power went down on April 27th and came back today. Nearly a week down. I was proud of the UPS, it ran over an hour before failing. If I'd realized the magnitude of the outage (all of north Alabama) I would have saved the UPS for when I really wanted it. Oh well. In thinking about it. The webserver is very low power and could run off a PicoPSU. That takes a 12v input. I may change from a UPS to a PicoPSU in parallel to a 12v battery and charger. That would be several times more efficient. For the record people, in the United States, when a traffic light is off, it becomes a FOUR WAY STOP! Stop running the !@#! things. I only had to clear three lights Thursday and barely got out with my car intact. I have added Umi Monogatari to the review section. It was an excelent series. I highly recommend it. On a related note, the number of reviews has finally broken my webpage. For lower resolution monitors, they won't all fit on the screen at one time. I guess I will have to start looking at how to change the layout, or if an entirely new layout is needed. Added Blu-ray collection to "DVD Collection" page. The second season of Toradora was a fitting way to end the year. It may be a bit before I have any comments up about it. It's hard to believe I just did this, but my DVD collection is now listed out in a new section. This is mainly for when people want to borrow something. In setting up links in the video section, I decided to start watching Mahoraba again. Seven episodes later; yep, it's still pointless fluff with no redeeming value. So, why do I find myself smiling or laughing the whole time I'm watching? How do we define a 'good' show anyway? Ok, no, *NOW* the Toradora review up. I somehow managed to skip uploading the page. Toradora review up. Well, not review. What I found most interesting were the characters. It's not "I know these people" the way Azumanga Daioh, the characters are more extreme. But still, I see a few surprising insights into people's personalities. Please read. On a second note, I figured out why some of the videos I've created would run on limited platforms (like my pda) and others would not. As a result, several of the videos in the movie section now have an h.263 and an h.264 version. h.263 = DivX. h.264 = AVC. More details on this in on the movie page. The initial overhaul of the movie section is done. There's only three music videos at the moment, but several new credits such as Asura Cryin, Toradora, and Suzuka. There's also at least one episode of many series I have that has never been licensed in the US. Also, for the first time, everything has a thumbnail image. In looking at it though, I must have a sick sense of humor posting 200-300mb videos on a server that only has a 256kbit upload. That's almost 3 hours to download a 20 minute video. The movie page is part way through a much needed overhaul. For instance, links for Real Video streams have been removed. There hasn't been a helix/real server on my webserver since I was running Fedora 4. I've tried several times to find a workable replacement, but I haven't found anything as easy. Unfortunatly, flash video (aka YouTube) requires a very expensive license for flash on the server side, so that's out. I also have added video openings and endings for two series. Toradora is an excelent "romantic comedy" that isn't terribly romantic and isn't especially funny. I seriously owe that one a review. Suzuka is a year in the life of a new high school student. I will probably need to say something about this one as well. The new system is up! Welcome to webserver 5.0! It would actually be 8.0 if you count the school and free hosts before I decided to run my own. What does the list look like? Student hosting on 'Athena' back at ASMS, Xoom, and NBC. After getting burned when Xoom sold out to NBC, I started my own server. First a Win95b box running 'personal web server'. Then Win2k running on a bare Pentium Pro board shoved under my bed. At first it was running Microsoft IIS, but after getting infected by Nimda I moved to Apache. Microsoft security has always been terrible. When that developed a fatal hardware problem I grabbed a single Pentium Pro system someone had given me while shopping for a replacement. This one was also running Windows2000 and Apache. With an eye to lowering my power bill and a quieter house, I chose a C3 EPIA MS10000 fanless board. Add a fanless powersupply and the only source of noise was the hard drive. Building on experience I picked up at work, I used Fedora (core 4) instead of Windows. When I upgraded to a 500GB drive, I also moved to CentOS as that was the distro we (were/are) using at work. After serving well for over four years I finally had to upgrade (the MS10000 has no SATA ports). The current system is a VB8001 running CentOS 5.5. What a history. I have just posted a bit on Aerobiz Supersonic. It is mainly a reference for my own purposes. Just now, it is a collection of screenshots of the available aircraft. I will be porting an excel chart I generated as well. Oops, about two weeks ago, I posted my comments about Star Trek Online. You can find that in the game reviews. Holy F***ING MOTHER OF GOD! I Found it! For *YEARS* I have been trying to figure out why punctuation like " and , would sometimes work and other times would not. Now I know. When you use copy-paste from Word into Notepad, it actually copies the form shorthand instead of the ascii characters they represent. These are single character values that VI will see as (trianglebracket)number(trianglebracket). For instance, the ' is number 92. The double-quote has two numbers, one for the begin (93), and one for the end(94). When you ask Wordpad to save as plain ascii text, it LIES and saves this instead. I have searched *everywhere* for the cause of this. Apache, ftp transfer, samba transfer, I never thought to open the body text in a non-graphical Linux editor. The problem is now solved, but it will be hard to avoid in the future. It's been a long time. In the last few months I have seen several anime worth forgetting, a few that were funny, but to review this series was a debt of justice. There have been few works of literature or drama that have hit me so. Even gathering the screenshots cost me. This also seems to be by far the longest piece I have written here. If you don't mind a review that cares not about spoilers, please read my review of Iriya no Sora - UFO no Natsu. Finished the Pirates page. Includes a few sighted ships and battles as well. Buisily working away on the Pirates webpage. I've finished the "Ships I Have Known" part. Now I need to build a page containing all the shots from each ship class. I am now working on a page for Pirates of the Burning Sea. You really need to check out the artwork in this one. This is going to take some time, so I'm posting what I have as I go. You'll find it under the game reviews. In other news, The Mysterious Cities of Gold is now out on DVD. An excelent show from the mid 80's. We'll see when I find time for some DVD screenshots. Same webpage, same system, new harddrive, new OS. The old drive had gotten so loud that it gave me a headache within five minutes of being in the same room. As that seemed to imply that a bearing was going bad, I headed off a failure by buying a new drive. As the OS was Fedora Core 3, it was time to update that too. I now have 500GB to play with. Nothing really new on the site, I haven't really been watching much anime for some reason. I do wish there were easier ways to get game screenshots. I'd like to do reviews on Supreme Commander and Legend of Heroes III: Song of the Ocean. Halloween night and I'm updating amid all the little children coming to the door. I decided to post some of the random stuff I've been doing in the 3D world. This update is Daz Studio stuff. I'll get the XSI modeling next. On another note, let us have a moment of silence for the demise of what was once Pioneer Animation, one of the greats of the anime world. The quality of their work will be missed. ADV put Yotsuba-to back in translation! Oops, My-Otome is licensed and soon to be released. It has now been removed from the theater. Another strange one. Yume Tsukai review (well, comments anyway) is now up. There's at least one more I want to do in the near future. Wow, when did I write this? Added a review of Aria the Animation and Aria the NATURAL. They're the same show really, just different seasons. Man I want to go back to the mediterranean some day. No real update just now. I thought I should point out though that I decided to go with Softimage XSI and have been quite happy with it so far. I've been researching 3D software for the last several months. After SIGGRAPH this year I ended up with all sorts of information. I decided to put it all together here. Wow, a month after I post the Inspector Gadget episode, a DVD set shows up in Best Buy. It's an extremely bad mastering job, but still, it's avalable legally, so I'm taking mine down. Added the review for Emma I wrote a month ago. I thought I'd already done that. The only reason I noticed is I was going to post an update. CMX of DC comics has licensed the Emma manga. 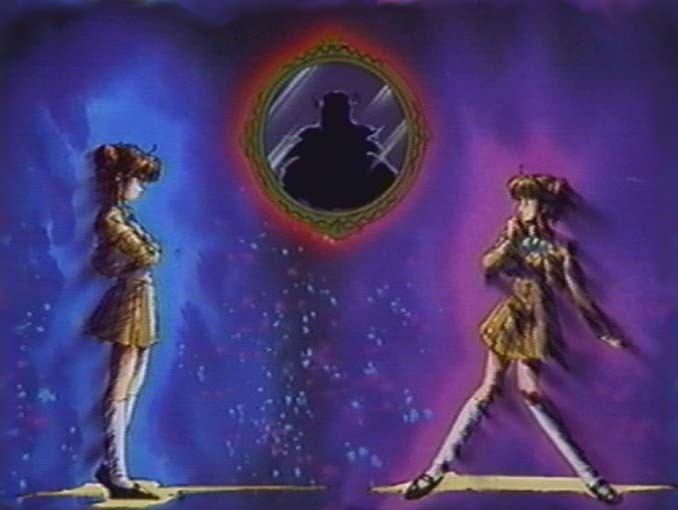 Added My-Otome and Inspector Gadget reviews. I haven't come up with any pictures for Gadget yet. Later maybe. I ordered SCS Dangerous Waters and needed a sound card with a working mic input. Must install new X-Fi soundcard now. Conan pictures this time. 70 of them. I've got to stop this. I haven't even gotten the ones off the laptop yet. Sick most of the day. It's now almost 4:00pm and I can finally stand to do something with my eyes open. Placed the first four episodes of The Mysterious Cities of Gold in the streaming section. I also got around to adding a few pictures to its review as well. Did I really post that review a year ago? And I just now put pictures with it? ugg. Too bad that's probably the best quality I'll ever see that show in. No new reviews. Added Da Capo, My Otome, and two new episodes of Kokoro Library to the streaming page. I still haven't gotten a chance to test the streaming over the internet. They're not too fond of streaming media at work. Streaming video should be up now. I'll be adding samples several series that never got licensed in a day or two. All streaming video is down while I move hard drives. After years of waffleing and a weekend of fighting the system, I've finally begun moving my webserver to Linux. Please expect broken links for a while. It's been years since this page was on a case sensitive server, so there will be mistakes. I've already caught two. I'm out of town for a week and I'm out of time. The streaming server will remain on Windows for now. We'll see how that works. On a final note, I must admit that SELinux is a real pain to work around. While no review in sight, I finally got an image gallery up for Victorian Romance Emma. 105 pictures. That's insane. So I liked the artwork. Last update for 2005? I Just added a review of (choose one) Conan, Boy of the Future/Future Boy Conan. Seems that Helix Producer 10 works better than the old Real Producer 9 Preview I was using. I now have a few new videos posted; Mahoraba, Conan, Boy of the Future, and Inspector Gadget. No, I ONLY take down a video when it's available for purchase or at least in the works, although if Mel Brooks wants to tell me to take down his work, I'd love to hear from him. I got around to writing a review of Mahoraba - Heartful Days. Enjoy. Oh yeah, almost forgot to update the main page. My-HiME now has a home here. Great show, check it out. I'll see about making another video or so later. Petite Princess Yuchi has been licensed by ADV and is now on video. Well, there's another series I can't host. That's ok, it's fun to be leading edge in something. One new review, The Mysterious Cities of Gold is now in the Anime Gallery. It was a bit hard to write since I'm already so biased in its favor. I'm also having trouble with screenshots since there are so many beautiful shots completely ruined by the crudy videos avalable of this series. Out of boredom, I also added the first episodes of My Hime and Kokoro Library to the movie section. I finally went out and found the plugin to winamp to allow the playback of Plastation 2 audio files. You'll find it and new PSF files in the music gallery. Oh I hope I'm not going to far with this addition. "Brian's Lessons in Heresy" It's a collection of mistakes people have made about Christianity. Just take it has humor, ok? I updated the Tiny Snow Fairy Sugar with pictures from the DVD to compare to the boradcast recording. (Yes, that does mean I'm buying the DVDs. What? You think I'm a pediophile or something?) As another note, the late Pioneer translated the title A Little Snow Fairy, Sugar. Oh, and about that question above; No, I don't want an answer. Just noticed I'd never put the pictures with the Mamotte Shugogetten review. Sorry about that. Sorry about the limited selection, I only have the first three episodes to work with. I added the opening to PitaTen to the movie theater. I'm sure I'll come up with screenshots and a review at some point. No, really. I can't serve wma files. I guess I just have to remove links since people keep trying. I'm not installing Windows 2003, the only time I've gotten a server virus was from running Microsoft servers. No, never again. New (old) server up. Seems the dual PPro motherboard fried something. Anyway, in the dust I had to get a new copy of Helix Server and found a surprise. It seems Microsoft got onto Real for not licensing the right to serve windows media files. I don't have access to Microsoft's streaming server (built into win2000 server or win2003 server). So until further notice, I can't stream wmv, even over http. Finally put up that review of Stelvia of the Universe. I'd typed it a month ago. I decided to redo the layout in the streaming section. I'll get buttons and full file downloads in at some point. This was probably brought on by my seeing someone streaming files off the server for the first time since I started running it two years ago. Yet again, Windows is giving me greif about being able to watch mpg-4 (DivX/XviD) videos, but not encode them. No new RealMedia or WMV until I figure out what's wrong. Well, finished watching Dual last week. Since I just watched it, I'm not really in the mood to find screenshots, but I put up a video of the opening. Something's really odd here...there's traffic...on my webpage...well, that's a new one. Well, I tried to replace some of the Snow Fairy pictures with ones off a DVD I bought only to discover that my DVD-ROM no longer reads DVDs. I've tried a head cleaner, if canned air doesn't work that'll be my second DVD-ROM in as many years. I have great luck do I not? Since several people seem interested in the midi files (I'd forgotten they were there), I added some SPC and PSF files. I also included directions for playing them in winamp. There are probably solutions for Linux, but I don't know them. Scrapped Princess review up. Forgot to update when I posted Spirited Away. Reviews for Final Fantasy Unlimited and Sister Princess are up. Star Ocean EX and Tiny Snow Fairy Sugar reviews have been up for some time. It keeps me in practice writting to do these, so maybe I'll do some more. Streaming server up (whee). I'm trying to figure out how to restrict the streaming server to on campus without restricting the webpage at the same time. For now, if you don't live on campus, could you not stream anything? Thanks. That's odd, I thought I put an update up. Well, I added a random music function since I was getting tired of the same music all the time. It'll have to be midi because few people have the *.ra plug-in and mp3 is too large. The Encoder review is up. There are no links to the videos yet, and with the network problems we've been having, it may be awhile. I'd like to put up screenshots of each video file, but I'm having problems taking screenshots. My video card doesn't support taking printscreens of video overlays and DVD software seems to prevent you from taking screenshots on purpose. In all honesty, the game section will probably just be pictures for quite some time. I'm not good at writing. Sooner or later I'm going to get around to doing a video encoder review. True, it may be more for my benefit than others, but I'll share the wealth. Encoders I'd be testing: Divx, Microsoft video3, Real Player 8, TMPGEnc mpeg 1&2, Ligos mpeg 1, Xing mpeg 1, bbmpeg mpeg 1&2, and whatever else I can get my hands on. I'd also test real time codecs like Pic Video and HuffYUV. Two files: One from a DVD or game system with very little noise, the other from a cable signal to test using the computer as a VCR. Should be fun, as soon as I get a new DVD drive that is. Hmm, I wonder when I wrote that below? Must have been August of 2000. Is that really the last time I wrote something here? Not mush to say. I'm just adding one image gallery after another. The game reviews may be difficult for me. I don't write critiques well. (note: see English grades). Someday I'll put a music selector in here, thanks for your patience. This page designed for 800X600 resolution. Any resolution should work.